Why should I follow a madhab? What is Taqlid? This is so nineties! Well I was asked about this the other day and I wanted to write something in the hope that it would help someone, anyone! I will use two terms with different spellings. I mean Salaf to mean the early community of the first three generations and Selefi for the modern day group. Please do not be confused! Why do we follow madhabs? When we could just open the Quran and Sahih Al-Bukhari and teach like the Wahabis and Selefis? The companions did not follow madhabs so why do we? These two statements are not only unrealistic but also totally unfounded. Most Wahabis/Selefis have no formal training in the Arabic language even if they are Arabs! Without understanding the language one we will move from one misunderstanding to another. This is exactly what they do. The Prophet (may Allah bestow peace and blessings upon him) taught the companions who taught the following generations of Salaf and so on and so forth. The leading scholars of the companions were few but they taught the other companions and then other Salaf. None of the Salaf picked up Quran and hadith then started teaching. They went to teachers to learn and did not say or make claims. The selefis were not taught by the companions and nor are they like the companions, so how can the statement about the companions did not follow madhabs so we do not be accepted? The Selefis are not living in the time of the companions! None of the companions picked up the Quran and started teaching like the Wahabis/Selefis. How can someone without an extended period of formal training teach? Would you trust me to perform brain surgery because I have opened a book on surgery! Alternatively, would you trust me fixing your car by reading a book and not having any apprenticeship or training? All worldly jobs ask for qualifications and experience so why is teaching Islam different? Can I use the excuse that the companions did not study brain surgery but its valid for me to use it? Only someone without a brain would accept that! Why are people who have not formal training in the religion opening the Quran and teaching? When they do not have the qualifications to teach! Is our religion so cheap? The companions trusted sound scholarship of the leading scholars of them and by following a madhab, we are doing the same. Out of nearly 120,000 companions around 6 or 5 of them gave legal verdicts. In fact following a madhab is following one of the Salaf, that the Salaf have praised themselves! No one praises those who follow their own writings. Nor have they been praised by the Salaf like the founders of the four schools, see short bios below. In the Sunni traditions, we have the Ijaza system in which the teacher gives the student permission to teach. Only after the student has made sufficient progress can he teach, rather than opening the Quran and being totally unaware of the language and giving ones opinion from translations! The companions never did this, they used to ask and follow the most knowledgeable of them. 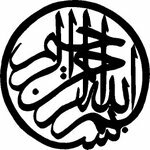 In addition, Sahih Al-Bukhari was not formalised until close to Imam Al-Bukhari's death which was the year two hundred and fifty six. So what did the Salaf do in that time when there was no Sahih Al-Bukhari? Wait for him to be born? The Salaf did not open the Quran and give their own opinions and nor did they wait for Imam Bukhari to finish his hadith collection to teach from it! Most of the Salaf would have passed away around 256 h.
The four Sunni schools emerged fully by the eleventh century as by that time all the other schools had died out. There were other schools but they died out or where absorbed by other madhabs. So each of these four schools contains the opinions of the leading scholars of the Salaf. They have a continuous chain that goes back to their respective personalities that the schools come from. Alternatively, would you prefer a Wahabi or Selefi who has no link to any scholars of the past and goes straight to the sources and transmits without understanding? They have no link to the Salaf of which they derive their name! They say we follow the Salaf but then derive rulings from their own uneducated opinions? In hadith methodology, a hadith that has no chain has no ruling because it cannot be verified. As the chain is where most of the scrutiny is made, so without it, there cannot be any verification to the veracity of the information. Therefore, it is rejected and that is what we have to do in terms of the Wahabis and Selefi groups. Totally reject those who have no basis, no right, and no qualifications to be teaching or even speaking about Islam. This is why Wahabism/Selefism is so strict because it all depends on the interpretation of the speaker. He can decide on a sixpence what is Halal or Haram. The four madhabs are the way of the Salaf! It is when a qualified scholar comes to a ruling based on sound evidences. Only those with superior Arabic, knowing all the opinions on the hadith, all the positions on the Quran and hadith, knows whether evidence is abrogated or not, and so on. This level of knowledge does not exist now. Because Bedouins in our time have no knowledge of the Arabic language. Many scholars decided to follow the madhabs because it made sense to follow trusted scholarship rather than try to re-invent the wheel. Unlike the wahabis/selefis who claimed the wheel was innovation then broke it then made their own wheel! If you want to visit a major city, you do not tear up the map or destroy the sat nav! Because it was not around at the time of the companions! You open the sat nav put the address in and follow the instructions. Allah (Mighty and Exalted) said, "Ask the people of remembrance (knowledge) if you do not know." Al-Nahl 6:43.
Who are the people of remembrance? The scholars of course and we shall explain exactly what the majority of scholars say about following one of the scholars of the four Sunni schools. This verse indicates that one should ask those who are qualified to be scholars. This verse proves that it is a Quranic conjunction to follow qualified scholarship. Its a verse confirming that one must be a muqalid/a follower of a school! The second form of the word taqlid means to entrust (p919 Hans wehr) and one meaning to blindly follow. The Wahabis/selefis disagree that following a madhab is necessary/wajib but tell people to follow them! They disagree following anyone else other than themselves! Therefore, they agree to taqlid when someone follows them but not when it is others! They accuse us of blind imitation but that is very far from the truth and slanders thousands of scholars of the Salaf themselves! Because Abu Hanifah's students did not agree with him, they often disagreed, this is all recorded. Sometimes the position of the school goes against the founder! Other times scholars following their principles/usul will have a different position that is followed. There is no blind imitation (ibid p920) of the four schools by the scholars and therefore the followers. The wahabis/agree to blind imitation and taqlid when people follow them! It is just when they follow others do they have a problem. If you want to know the proof in a matter of the madhab then ask an expert or become a student of knowledge and study these matters. Otherwise, when you are following of the four madhabs you are following something thats been tried and tested for over a thousand years. Instead of trusting someone unqualified to even read the text! Most of these quotes are from the work by Sheikh Abdulghani Al-Nabulasi (may Allah show him mercy) work on this subject. وقال إمام الحرمين الجويني في البرهان ( 2 \ 744 ) : " أجمع المحققون على أنّ العوام ليس لهم أن يتعلقوا بمذاهب أعيان الصحابة رضي الله عنهم ، بل عليهم أن يتبعوا مذاهب الأئمة الذين سبروا ونظروا وبوّبوا الأبواب وذكروا أوضاع المسائل وتعرضوا للكلام على مذاهب الأولين ، والسبب فيه أنّ الذين درجوا وإن كانوا قدرة في الدّين وأسوة للمسلمين ، فإنّهم لم يعتنوا بتهذيب مسالك الإجتهاد وإيضاح طرق النظر والجدال وضبط المقال ، ومن خلفهم من أئمة الفقه كفوا من بعدهم النظر في مذاهب الصحابة فكان العامي ماموراً باتباع مذاهب السابرين " . Imam Al-Haramayn Al-Juwayni (may Allah show him mercy) said in Al-Burhan (2/744), "The verifiers have agreed that the generality are not able to follow ways of the many companions (may Allah be pleased with them). Rather it is necessary for them for them to follow the schools of the Imams who have probed, looked, opened doors, mentioned issues that clarify and were exposed to the first (teachers) of the schools. The cause in it is those who are at a level who were exemplars in the religion and examples to the Muslims. They (the generality) who are not appointed to examine the ways of ijihad and clear the path of examination, discussion and affirming speech. Those who followed them (the companions) are the Imams of Fiqh and they have looked into the ways of the companions. So the average person is ordered to follow those schools who have probed (such matters)." Imam Al-Haramayn, Imam Al-Ghazalis teacher, is commanding people to follow sound scholarship of the four Sunni schools. Ibn Nujam (may Allah show him mercy) said in Al-Shaba wa Al-Nazahir, "Whoever opposes the four schools opposes the consensus even though there are differences with others. It was clarified in Al-Tahrir, the consensus has agreed that those who do are not attributed and followed (one of) the four schools has no action. They have spread and are followed by many." وجاء في الفروع ، لإبن مفلح ، ( 6\374 ) : " وفي الإفصاح : إنّ الإجماع انعقد على تقليد كل من المذاهب الأربعة ، وأنّ الحق لا يخرج عنهم ، ويأتي في العادلة لزوم التمذهب بمذهب وجواز الإنتقال عنه " . In Al-Fara' of Ibn Muflah (may Allah show him mercy) he said, "In Al-Ifsah, It is consensus that we argue that everyone (should) follow one of the four schools. The truth is not found outside them. Justice comes from adhering to the way of the schools and (not allowing) the passing to other than them." وقال الزركشي في " البحر المحيط " ( 8\240 ) : " وقد وقع الإتفاق بين المسلمين على أنّ الحق منحصر في هذه المذاهب وحينئذ فلا يجوز العمل بغيرها "
Imam Al-Zarkashi (may Allah show him mercy) said in Al-Bahr Al-Muheet, "Agreement has occurred with the Muslims that the truth is limited to these schools from their time and it is not permissible to act outside them." وقال ابن علاّن الصدّيقي في شرحه على رياض الصالحين المسمّى " دليل الفالحين " ( 1\415 ) : " أمّا في زماننا فقال بعض أئمتنا : لا يجوز تقليد غير الأئمة الأربعة : الشافعي ومالك وأبي حنيفة وأحمد ، لأنّ هؤلاء عرفت مذاهبهم واستقرت أحكامها وخدمها تابعوهم وحرروها فرعاً فرعاً وحكماً حكماً ، فقلّ أن يوجد فرع إلاّ وهو منصوص لهم إجمالا أو تفصيلا بخلاف غيرهم فإنّ مذاهبهم لم تحرر وتدوّن كذلك ، فلا يعرف لها قواعد يتخرج عليها أحكامها فلم يجز تقليدهم فيما حفظ عنهم منها ، لأنّه قد يكون مشترطاً بشروط أخرى وكلوها إلى فهمها من قواعدهم ، فقلّت الثقة بخلّو ما حفظ عنهم من قيد أو شرط فلم يجز التقليد حينئذ " . Ibn 'Allan Al-Sadiqi in the commentary on Riyad Al-Saliheen called Dalil Al-Falaheen, "As for our time most of our Imams say that is not permissible to follow/taqlid other than the four Imams: Al-Shafi, Malik, Abu Hanifah and Imam Ahmed. Because their schools are know, the rulings affirmed and their service is following them diligently in every branch and ruling. Rarely do you find a branch except there is a text by them in general or in detail unlike other (schools), because others are not served or followed similarly. They do not know the ruling that come from the rulings and do not leave following them in what they preserved from them. Because it is, one of the other conditions and rely upon their understanding of the principles. Say that sound authorities are not free from what they preserved from them of limit or the condition and do not leave them following them/taqlid from this time." وقال ابن رجب في " الرد على من اتبع غير المذاهب الأربعة " ص 13 : " فإن قيل : نحن نسلّم منع عموم النّاس من سلوك طريق الإجتهاد ، لما يفضي ذلك أعظم الفساد ، لكن لا نسلّم منع تقليد إمام متبع من أئمة المجتهدين غير هؤلاء الأئمة المشهورين ، قيل : قد نبهنا علة المنع من ذلك وهو أنّ مذاهب غير هؤلاء لم تشتهر ولم تنضبط ، فربما نسب إليهم ما لم يقولوه أو فهم عنهم ما لم يريدوه ، وليس لمذاهبهم من يذبّ عنها وينبه على ما يقع من الخلل فيها ، بخلاف هذه المذاهب المشهورة ، فإن قيل : فما تقولون في مذهب إمام غيرهم قد دوّن مذهبه وضبط وحفظ كما حفظ هؤلاء ، قيل : أولا : هذا لا يعلم وجوده الآن ، وإن فرض وقوعه الآن وسلّم جواز اتباعه والإنتساب إليه ، فإنّه لا يجوز ذلك إلاّ لمن أظهر الإنتساب إليه والفتيا بقوله والذّبّ عن مذهبه " . Ibn Rajab (may Allah show him mercy) said in Al-Rad 'ala man itba' ghayr Al-madahib Al-Arba'ah/Refutation of those who do other than the four schools, "If it was claimed we submit to prevent the general people from the way of ijtihad because that will cause great corruption. But we do not accept prevent the following of Mujtahid Imams other that the four famous ones?" It was said, "We warn about forbidding about this as that is a school beyond these who are not known or not affirmed. Perhaps our link to them is not what they say or understand that it is not needed. It is not their schools that we are defending and we warn about what occurs of faults in them that does not occur in the famous schools. If it was said, perhaps we say that the madhab of the Imam to other than them has been set down, confirmed and preserved like they have been preserved. It is said; firstly, we do not know any of them now. In the obligations that occur now, we agree in following them and attribution to them. This is not possible to those who have attribution to it and fatwa to it by defending their school." وقال المرداوي في التحبير : ( 1\128 ) : " فإنّ مدار الإسلام واعتماد أهله قد بقي على هؤلاء الأئمة وأتباعهم ، وقد ضبطت مذاهبهم وأقوالهم وأفعالهم وحرّرت ونقلت من غير شك في ذلك ، بخلاف مذهب غيرهم وإن كان من الأئمة المعتمد عليهم ، لكن لم تضبط الضبط الكامل وإن كان صح بعضها فهو يسير فلا يكتفى به وذلك لعدم الأتباع "
Al-Mardawai said in Al-Tahabir, "The pivot of Islam relies on its people who remain following these Imams. Their schools have been confirmed as well as their speech, their actions, and recorded; this has been transmitted without doubt unlike the other schools. If they were to be relied upon then we cannot affirm the veracity of it all. If we can confirm some of it then it would be easy. We do not rely on this because it is not fellowship." و ابن تيمية رحمه الله تعالى في الفتاوى المصرية ص81 : " وقول القائل : لا أتقيّد بأحد من هؤلاء الأئمة الأربعة ، إن أراد أنّه لا يتقيّد بواحد بعينه دون الباقين فقد أحسن بل هو الصواب من القولين ،وإن أراد أنّي لا أتقيّد بها كلّها ، بل أخالفها فهو مخطيء في الغالب قطعاً ، إذ الحق لا يخرج عن هذه الأربعة في عامة الشريعة "
Ibn Taymiyyah said in Al-Fatawa Al-Misriyyah, "If someone was to say not to be bound by one of the four schools. If he wants not to be with one of the schools specifically and not the others then this is best (option) and the correct one of the two opinions. If he does not want to be bound to any of them then this opposition is a mistake over the majority decisive matter. Because the truth does not come out of these four in the general matters of the sacred law." وفي شرح مجلة الأحكام ، لعلي حيدر ( 1 \ 34 ) : " إنّ للمجتهد شروطاً وصفات معينة في كتب أصول الفقه ، فلا يقال للعالم مجتهد ما لم يكن حائزا على تلك الصفات ، ومع ذلك فالمتأخرون من الفقهاء قد أجمعوا على سدّ باب الإجتهاد خوفاً من تشتت الأحكام ، ولأنّ المذاهب الموجودة وهي ( المذاهب الأربعة ) قد ورد فيها ما فيه الكفاية " . Ali Haydar said in the commentary Mujallah Al-Ahkam, "The Mujtahid has descriptions and specific attributes in the books of the principles of Fiqh/jurisprudence. It is not said to mujtahid scholar that you do not have these qualities. Despite they being later than the jurist that there is consensus that the door of ijitihad is closed in fear of spreading rulings because the schools that are present (the four schools) and all that is reported of them is sufficient for us." Sheikh Nuh Keller says in Sea without shore (p.248), "Whoever follows one of the four schools is following Allah and the Prophet (Allah bless him and give him peace)." Shah Wali Allah Al-Dhahalawi in Hujjatullah Al-Balaghah (p.286-7 Vol 1) says that is consensus of the Imams in permissibly of following (one of the) four madhabs, "This is the best (option) where there is nothing hidden. Especially in these days, which the followers have diminished and they drink their egos and passions. Each one pleased with his own opinion." He continues that the companions did taqlid to other knowledgeable companions from, "Umar ibn Al-Khattab, Ali ibn Abu Talib, Abdullah ibn Mas'ud, Ibn Umar, Ibn Abbas, Aishah, mother of the believers." (ibid 289-290) It is from Ibn Mas'ud that the Hanafi madhab comes and the Maliki Madhab comes from Ibn Umar (may Allah be pleased with them)." The Wahabi and Selefi schools come from themselves whomever they feel that day! Their school has no link to the companions other than when they read their names. How can you lay your religion down to such people and yet not follow one of these four schools? Imam Sawi says in the commentary of Imam Laqqani's Jawhar Al-Tawheed (p.337), "It is necessary to follow the leading of them: meaning it is necessary, according to the majority. All those who cannot perform absolute ijtihad (basically no one now) he has to adopt the knowledge of one of the four schools and it is not permissible to follow any other; after the consensus has been made." Absolute ijtihad is someone who has reached a level a scholarship that he can derive the rulings directly. He must know the Arabic level to the pre-Islamic poetry level; know the major positions of the madhabs and all the schools of belief. Anyone in the last three hundred years has fallen short of this level because it is too difficult. Therefore, there is no one in this time that can do this. Any other school meaning anything outside the four schools like the Shia, Wahabis, selefis and anyone else! Notice that this is mentioned in a book of sacred belief. That is how important it is. Ibn Hazam was also opposed to the four schools but this opinion is rejected by the majority who say that one has to adhere to one of them. Ibn Hazam is a frequent source of strange opinions that disagree with the majority. The opinion of one scholar is not accepted when it opposes the majority. This is usually the ikhwani/Ukim argument against following madhabs and its false. Yes, it is true there is a rivalry between madhabs but its like the rivalry between brothers, trying to get the attention of their father. There might be rare reports of discord but these are few and far between and are not an argument against following one. Rather they are an argument for not following them fanatically. Fanatics of any kind are a problem. Lest we forget the actions of Imam As-Shafi when he went to visit the grave of Abu Hanifah. Imam As-Shafi would raise his hands in places were the Hanafis would not. When Imam Shafi prayed, he did so according to Hanafi madhab, when he was close by the grave (of course not directly at it!). We accept the differences of each other and do not go to extremes. Harun Al-Rashid the Abbassid ruler flogged Imam Malik because he refused to enforce Al-Muwatta. Imam Malik's magnum opus of hadith and the basis of the Maliki school. Understand this well because there was no fanatism with them but with some of the heedless followers. Al-Azwai said, "I reported to you from Al-Zuhuri from Salim from his father and you say from Hammad and Ibrahim!" Abu Hanifah said, "Hammad had a greater understanding of fiqh than (Al-Zuhuri like Ibrahim to) Salim, 'Alqamah was not less than Ibn Umar even though he was a companion and had the virtue of companionship and Al-Aswad was very great; and Abdullah (ibn Masud had more knowledge)." This is how the chain outweighted the chain presented by Imam Al-Awzai." As you can see this is not a simple matter. It is a deep science and the main scrutiny of hadith is in the chain. Here Abu Hanifah is giving precedence to scholars in the chain of narration over those less knowledgeable. Although this is a valid understanding based on proof texts and we do not censure Shafis or any of the other schools who do this. Even though we, as Hanafis, disagree. This is a classical disagreement in matters of fiqh/jurisprudence. If you want to see how inaccurate the selefis rulings are then ponder the feet touching rule by clicking here and you will see that it is totally baseless. Yet, wherever you go you will find someone wanting to touch your feet in prayer. Who where the leading scholars of the salaf? Who are the real Salaf? The period of the salaf is those who came after the time of the Prophet (may Allah bestow peace and blessings upon him) from the first to the third century. Salaf means the one who proceeded. So who are the leading scholars at that time? Junaid Al-Baghdadi, Imam Al-'Awzai, Hassan Al-Basri, Al-Tabari, Abu Hanifah, Imam Malik, Imam As-Shafi and Imam Ahmed ibn Hanbal (may Allah show them mercy). Dawud Al-Zahari had a known madhab but his school was widely refuted. All these schools either died out or where assimilated into other schools. Now the selefi scholars have no right to be called as such because the way of the salaf died out in the eight century and the time has ended over a thousand years ago. None of the modern day selefis follow the four schools therefore their 'claim' to follow the salaf has no basis whatsoever. How can you claim to follow the salaf yet oppose the four madhabs? When they (four schools) were the leading scholars of that time! We can call ourselves Hanafis etc because it is not limited to a time like term salaf. Imam As-Shafi said, "The people are related to fiqh by Abu Hanifah." All these are the leaders of Salaf and they are all saying he was the best in their time, the golden age of scholarship. So you think someone who came two hundred years ago can be better? When the Wahabis/selefis have been widely refuted from all four schools. Ahmed Timur said in History of the four schools, "It is the first of the four, its founder was the great Imam Abu Hanifah An-Numan Al-Kufi (may Allah be pleased with him). Born in the seventieth Islamic year and he passed away in Baghdad in one hundred and fifty, according to the soundest opinion. (Other date that is stated is, born 80 and died 148.) 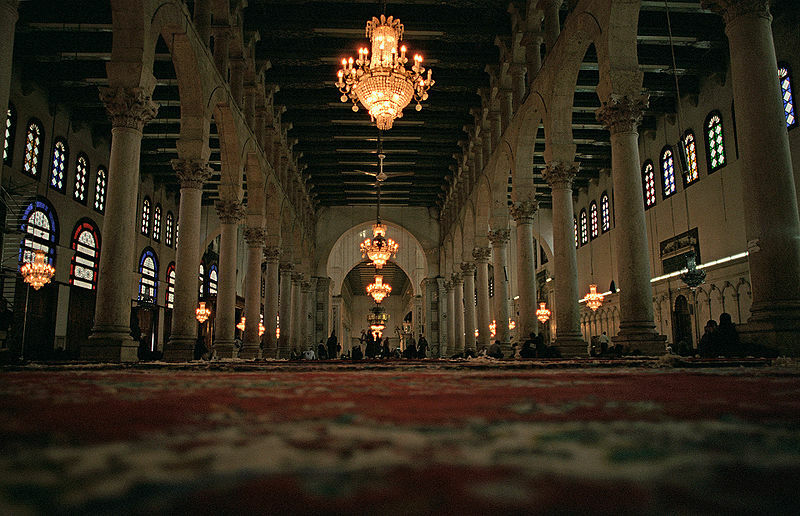 This school was founded in Kufa, the residence of the Imam, and then spread to all of the cities of Iraq." Abu Hanifah was Persian and this is one of the proofs that the Hanafis use. The Messenger of Allah (peace and blessings of Allah be upon him) said, “Verily, you shall conquer Constantinople. What a wonderful leader will he be, and what a wonderful army will that army be!" Imam Ahmed. The leader of the army that conquered Constantinople was Sultan Mehmet who was a Hanafi in jurisprudence and was an adherent to a spiritual path of Naqshabandi. The Prophet (peace and blessings of Allah be upon him) was happy with an adherent to the Hanafi School of jurisprudence. Would the Prophet (may Allah bestow peace and blessings be upon him) be happy with an innovator, if he was an innovator? In addition, Sultan Mehmet's entire army was all Hanafi! This is one reason why the Ottomans spread the Hanafi madhab and even today, Turkey is a Hanafi country! Imam Muhammad Al-Shaybani later studied hadith with Imam Malik then corrected the Imam by writing his own Muwatta. In addition, Abu Hanifah met the companion of the Prophet (peace and blessings of Allah be upon him) called Anis Ibn Malik (may Allah be pleased with him) and at least one other companion. I must apologise to the readers because I do not have a lot of information about Imam As-Shafi, Imam Malik and Imam Ahmed. Imam Malik Ibn Anas Al-Asabhi, may Allah be pleased with him, born in the year ninety three, which is well known; he passed away in Medina in the year one hundred and seventy nine, which is authenticated. The Prophet (peace and blessings of Allah be upon him) said, "Very soon will people beat the flanks of camels in search of knowledge, and they shall find no-one more knowledgeable than the knowledgeable scholar of Medinah." Al-Tirmidhi. Al-Qadi `Iyad, Dhahabi and others relate from Sufyan ibn `Uyayna, `Abd al-Razzaq, Ibn Mahdi, Ibn Ma`in, Dhu’ayb ibn `Imama, Ibn al-Madini, and others that they considered that scholar to be Malik ibn Anas. It is also related from Ibn `Uyayna that he later considered it to be `Abd Allah ibn `Abd al-`Aziz al-`Umari. Ad-Dhahabi said of the latter: "He possessed good knowledge and jurisprudence, spoke the truth fearlessly, ordered good, and remained aloof from society. He used to press Malik in private to renounce the world and seclude himself." Imam Malik was known not to like questions about events that had not occurred. After his death his students took the questions asked in the gatherings of the Hanafi's and then pondered about the possible answers of Imam Malik.This is perhaps why the Maliki madhab is similar to the Hanafi in many places. Imam Muhammad ibn Idriss As-Shaf’i Al-Qurayshi, may Allah be pleased with him, was born in Gaza in the year one hundred and fifty and passed away in Egypt during the year two hundred and four. One of the proofs that the Shaf’i’s claim is the following prophetic narration. The Messenger of Allah (peace and blessings of Allah be upon him) said, “A scholar from the Quraysh will fill the parts of the earth with knowledge.” (Imam Ahmed, Bayhaqi and Ibn Hajr). Imam As-Shafi studied with Imam Malik early in his career then studied with Imam Muhammad and Abu Yusuf - the students of Abu Hanifah. This is one of the ways that adherents of his school say its superior to other schools because he studied with both leading scholars. Imam Ahmed ibn Hanbal As-Shibani (may Allah be pleased with him). He was born in Baghdad, in the year one hundred and sixty four and passed away in the year two hundred and forty one. It was claimed, “He was born in Mara (Persia) and went to Baghdad during infancy.” His school is the forth school Sunni school, acted upon by the consensus of Muslims. Imam Ahmed was known to have memorised one million hadiths with their chains of narration verbatim. Is there someone similar to him now? Not a chance! He studied briefly with Imam As-Shafi and therefore all the schools are linked and are not separate entities. Imam Muhammad, Abu Yusuf, Abdullah Ibn Mubarak, Dawud Al-Tai, Bishir Al-Hafi, Imam Kharki, Imam Al-Jasas, Imam Al-Maturdi, Ali Al-Qari, Ali Hijwiri, Imam Rumi, Yahya ibn Mueen, Imam Al-Tahawi, Ibn Abideen, Imam Ahmed Rida Khan, Imam Abu Laith As-Samerqandi, the Ottomans and many others. Imam Al-Nawawi, Imam Ghazali, Imam Al-Suyuti, Sheikh Yusuf Al-Nabahani, Imam Al-Bayhaqi, Ibn Kathir, Ibn Hajr Al-Hatami, Ibn Hajr Al-Asqalani, Imam Al-Dhahabi, Salahiddin Ayyub (his grave is pictured above) and many others. Imam Abu Hassan Al-Shadhali, Ibn Abi Zayd, Yahya Abu Laith, Ibn Khaldun, Qadi Iyyad, Uthman dan Fodio, Imam Shatabi, Ibn Muflah, Imam Qarafi and many others. Abdulqadir Al-Jilani, Imam Maqdasi, Imam Ibn Jawzi, Imam Qudaymah, Ibn Rajab and many others. Which one shall I follow then? Follow whichever school you have easy access to a teacher to study with and ask questions. As long as it is one of these four then take whatever one you wish. One of the blessings of the four schools is that the truth is not one but it has many options meant for ease and it is not meant to make your life hard. Beware of those people who mix madhabs because this makes your life hard. Well it is a silly claim because they all lived in a time in which hadiths was accessible to anyone who wanted to hear them. If they did miss any than their students would have corrected them or even those who came after. In any case, their teachings stem from the companions and they would not have missed them. Imam Malik had his collection of hadith called Muwatta, Abu Hanifah has his Musnad, Imam As-Shafi had Al-Umm and Al-Risala and Imam Ahmed has his Musnad. They were all masters in hadith, they all cannot of missed something that was magically 'discovered' by Ibn Wahab! That is impossible! This was also a time before the sacking of Baghdad by the Mongols, because many books were lost when the rivers ran black with ink. There were works of hadith that did not reach us except by a quote in another text. However, hang on a wahabi/selefi scholar thinks he knows more hadith than they do! When all he does is open books without any understanding of what he is narrating. Or even if the book in circulation is not the relied upon version. The correct version of Bukhari is by the narration of Imam Farabri that is not widely published. Therefore, the version widely available has mistakes! They are transmitting hadith without formal training, without understanding, without correct versions of the books! Do you think they are going to find the truth! It is illogical and irrational! We have now proved beyond any doubt that following the wahabis/selefis is tantamount to allowing a JCB into your living room and not expecting any damage! You will not have a living room and your house will collapse! They have no link at all with the scholars they claim, therefore their claims are false and baseless. If you take a look at the books of the wahabis rarely do they quote anyone more than Ibn Baaz, Uthaymeen and Al-Bani. Where these people born in the first three centuries of Islam? By what right did they have to teach? Where is the following of the Salaf here? The Sunni's have principles of law derived from Quran and hadith, do the wahabis and selefis have this? No, they have nothing. One such wahabi said it was permissible to say bismillah and eat anything you want! How can you take such people seriously without laughing at their lack of understanding? Wahabism/selefism spread in the lands of the Muslims because of 'external' funding to deliberately undermine the role of these schools. If we accept that, the wahabi/selefi claim that these schools were innovation then there was never any sacred law in practice outside the prophetic period. So only until the wahabis/selefis came the shariah/sacred law was never practiced? Really? How could that happen that millions of scholars of the golden generation were all misguided at the same time? Yet, they all followed madhabs? This is totally illogical!! Trusting one of the schools of the madhabs is like learning from a tree that was planted by the Salaf. Unlike studying with the wahabis/selefis, which is essentially learning that, everyone in Islamic history was wrong except themselves. Find a scholar of one of the madhabs and learn at least one book of fiqh. In terms of the Aquida schools of Islamic belief. Abu Hanifah (may Allah show him mercy) wrote Fiqh Al-Akbar and narrated Aqida text which became known as Aqida Al-Tahawiyyah. So all texts of Islamic belief are sourced from these works, both the Ashari and Al-Maturdi schools. The way of Sunnis Islam is by these four schools of fiqh and the aforementioned schools of belief, as well as a branch of spirituality. These are the majority and the Prophet (may Allah bestow peace and blessings be upon him) said that his nation would not agree to a consensus and it would be misguidance. It is only now, thanks to outside influences, have we the audacity to go our own ways. Not only is it a disaster but the main reason for argumentation and discord in our world. The sooner we wake up this, the better. Do not expect a piece of art to come from someone who has never studied art. That is foolishness of the highest order and that is what you do when you allow the unqualified individual access to your religion. They will not be happy until they destroy it all. Its only when one leaves these schools does one follow misguidance. May Allah (the Exalted) guide us all back to the reliable positions of these four Sunni schools.